The Art Deco mansion block Astra House towers over its Regency neighbours on the Brighton seafront. But it actually took the place of a similarly tall Victorian building called the New Club. The Palladian-style five-storey New Club replaced Nos. 133 and 134 Kings Road in 1876. Its ceiling heights must have been incredibly generous as it looked down on the surrounding buildings, even though they had the same number of floors. The architect was Thomas Lainson who was also responsible for the Royal Alexandra Hospital, Middle Street Synagogue and what is now Hove Museum. The New Club was demolished in 1937, at a young age, to make way for Astra House which was completed in 1938. Although Astra House is ten storeys high, it isn’t that much taller than the five-storey building that it replaced. It is instantly recognisable as a 1930s Art Deco block but there are Victorian influences such as angled bays on its Preston Street façade, timber sash windows and a yellow-brick exterior. It was built slightly back from the building line, perhaps in preparation for a widening of Kings Road. Astra House consists of commercial premises at ground level with 61 flats above. The flats are spread over seven principal floors with two penthouse-style floors up top. Each side of the building offers a very different view such as those over Hove Lawns, Regency Square or the Palace Pier. 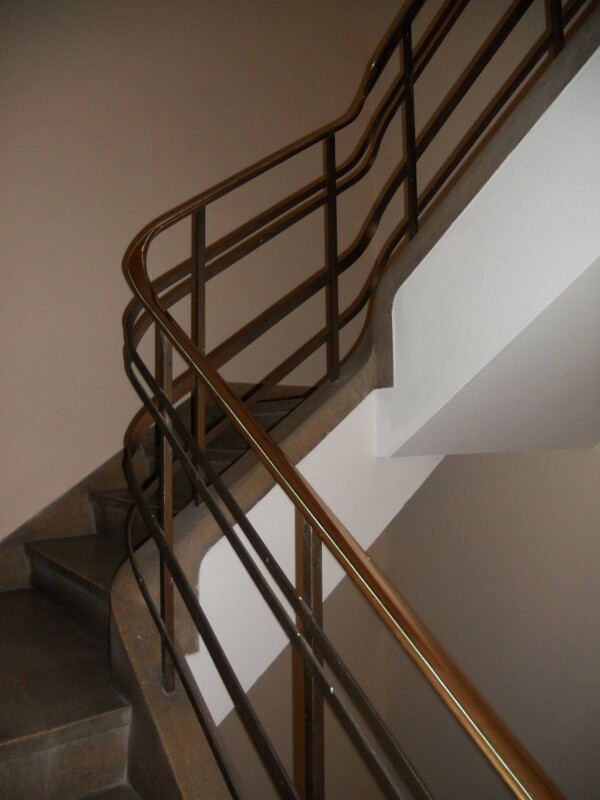 I am particularly fond of the building’s two-colour terrazzo floors and staircases, and of its distinctive cast-iron radiators that line the hallways. Heating and hot water are provided communally from a large plant room in the basement which can be identified by a large corner chimney at the rear of the building. One interesting detail is the two large chimney stacks on the side of the building. 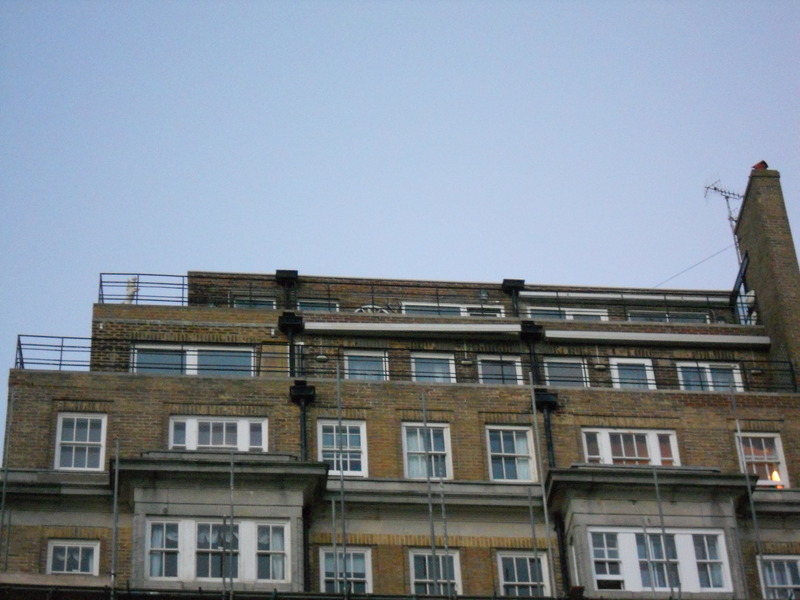 Although they have been built in the style of Astra House, they actually serve the neighbouring property, just as the Modernist chimney stacks on the side of Embassy Court actually serve 1 Brunswick Terrace. There is still some way to go before Astra House is recognised in the same way that others of its era have been such as Furze Croft or 4 Grand Avenue. Hamish Aitchison, Norma Binnie and other Astra House flat owners have done well to embark upon the current programme of restoration. It is going to be a long process but it will be worth it. Hove is blessed with some of the finest hidden mews streets in the country. Some of these hidden former stable streets are cul-de-sacs, such as Namrick Mews, Albany Mews and Victoria Grove. I love to vary my route whenever I walk anywhere though so I am particularly fond of those which are through roads, like Queen’s Place, Wilbury Grove and Cambridge Grove, the topic of today’s column. Cambridge Grove is now in the third phase of its development. 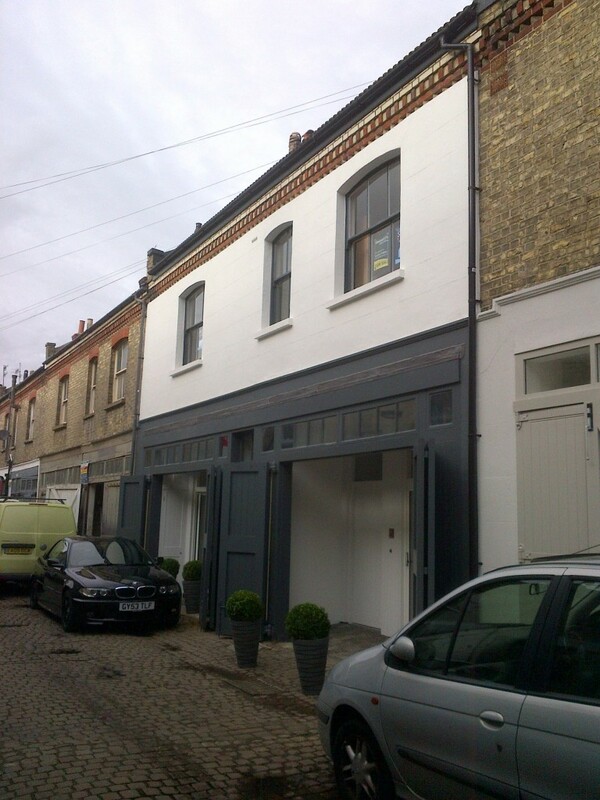 Its 1880s stables were gradually converted into car garages from the 1920s. These are now, in turn, being transformed into homes and offices. I was recently shown No. 14 by Steven Sparks who has converted, with the assistance of local architect John Turner, a pair of run-down garages with a flat above into two new self-contained three-bedroom houses. The exterior has been completely overhauled which has involved returning one of the original windows back to its original size and position, and removing fake shutters. The generous height of the downstairs ceilings is unexpected. This, combined with bright white paint and huge windows, makes for a most illuminating experience. The two are now for sale with Mishon Mackay. Another interesting structure is No. 1b, or ‘The Edge’ as it is also known. 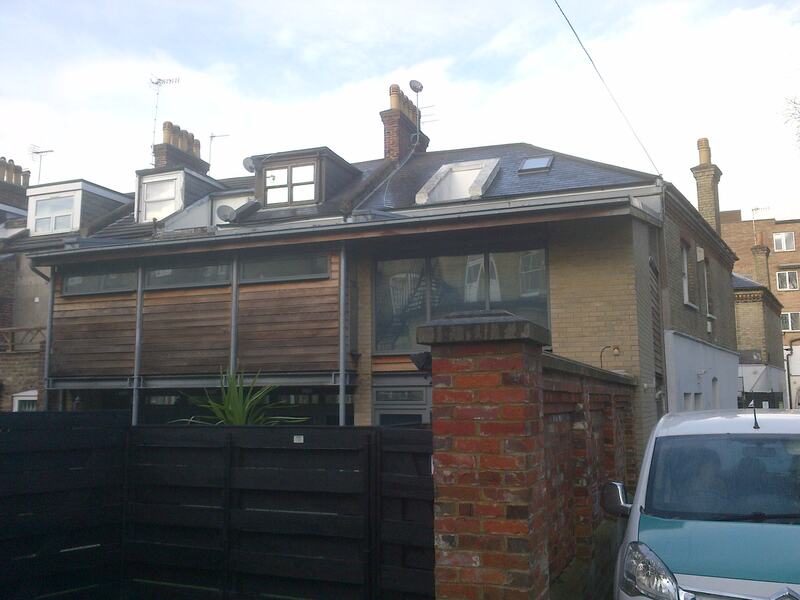 This modern property was designed by Simon Atkins and Giles Ing from Hove-based ABIR Architects. It was built in the back garden of 36 Cromwell Road, where cars parked previously, which opens onto the east end of the mews. The plot was once home to a conservatory; several of which still exist in their original form in the neighbouring properties. This is interesting in that it highlights that the stables on the south side of Cambridge Grove do not have rear windows. The Edge would no doubt have looked incredibly modern when it was completed in 2005, and it still stands out for all of the right reasons. A similar plot is now vacant on the west end of the street. It is well known that people don’t look up when they walk along. But in the case of Cambridge Grove, this is perfectly acceptable as the purple cobbles, perhaps granite, do define the street. Nevertheless, looking above the stable doors at the original yellow and red Victorian brickwork is a treat too. Brighton may well triumph when it comes to twittens, but Hove is without doubt king of the mews.